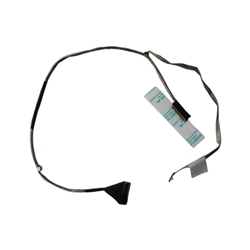 Description: New genuine Acer replacement laptop lcd cable. This cable connects the 14" lcd screen & webcam to the motherboard. Please note this part is ONLY for non-3G models. Part #'s: 50.RK702.008, DC020019S10, P4LJ0 LVDS CABLE. Acer Aspire 4380, 4830G, 4830T, 4830TG.